The Lettings Inspector is a well established independent property inventory services company and we are looking for additional self employed people to carry out inspections of private rental properties around Oxon and Bucks. 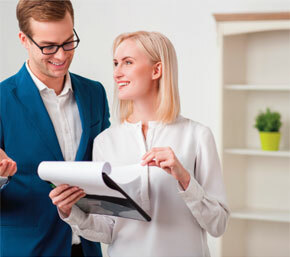 Whether you have experience in the property rental field or are looking for a change of direction, please look at the specification under, and if it is a position you would like to be considered for please email an application in the first instance to - info@thelettingsinspector.co.uk - we would love to hear from you! Create detailed Inventories that include the condition of each property for tenancy Check-In. Carry out Check-Outs at the end of the tenancy comparing the condition of the property with the check-in inventory to produce reports advising lettings agents and landlords on issues of maintenance, cleaning and any potentially chargeable damage against the tenants' deposit. • Organized and methodical with a keen eye for detail. • Customer and service focused. • Professional appearance and attitude. • IT literate especially Microsoft Word. • Good quality digital camera, (or camera on phone). • PC/laptop loaded with Microsoft Office and up to date virus software. • Reliable home internet access. • An interest in property is essential but previous experience is less important as training will be given. • Days and hours of work are variable and almost entirely driven by our clients' needs so flexibility is crucial. (Inspections are normally Mon to Fri). • Work is highly seasonal with the busiest period being July to October. • Remuneration is on a job by job basis and varies depending on size of each property. • Longer term opportunity for the right candidate to become much more actively involved in the business. throughout the year from this role, then it is unlikely to suit you. Please send details of your experience and work history to info@thelettingsinspector.co.uk and please tell us why you are interested in the role.